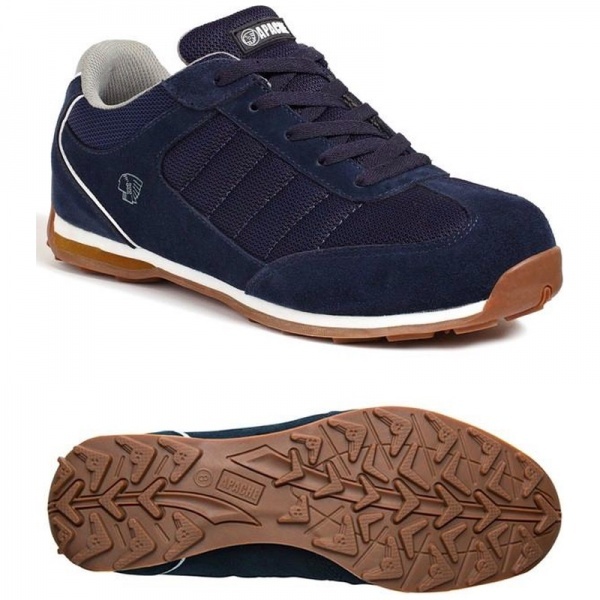 Navy suede and canvas upper. Padded tongue and collar for added comfort. Steel toe cap protection and composite midsole protection. Lightweight EVA/rubber outsole. A retro sports safety trainer for light industrial applications.